Park Shin Hye and cast of Kolon Sports attending the press conference for the short film. Park Shin Hye looks absolutely amazing in this very cute spring dress. Touching, short and sweet. Moving moments between Shinhye and YKS have been captured so well. They were great together. Shinhye as usual is lovely and loved the subtle changes of emotions on her face. The ending made me wish it was at least a full length movie or drama. KJW shows his class as the renowned director. Loved the song in the end. Can anyone give me more info about it? 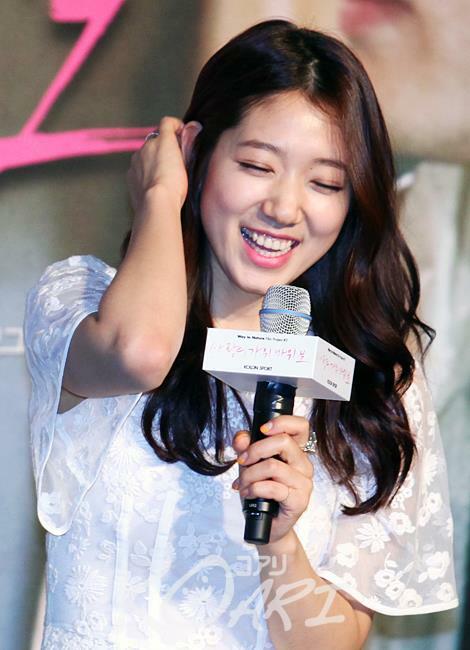 Loved Shinhye's dress with its spring like feel . She is so pretty at the conference.